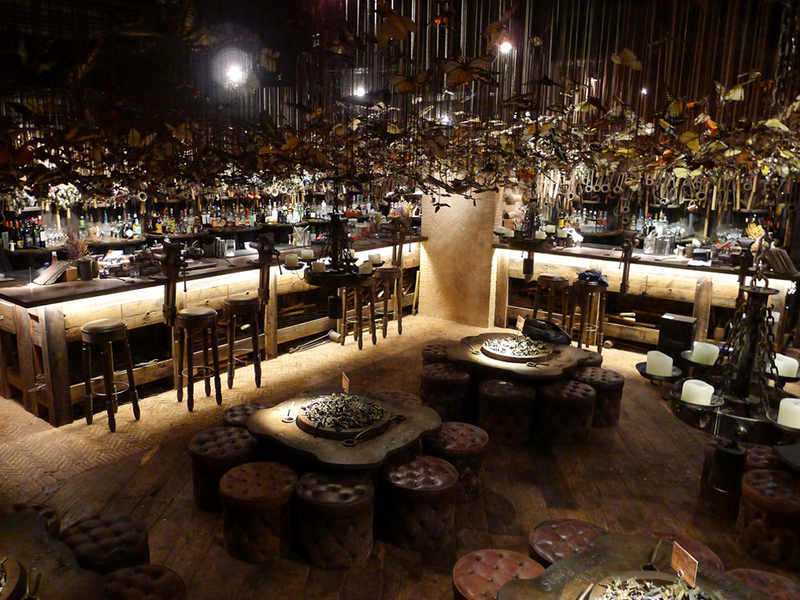 Popular underground bar-turned-nightclub eaturing top Hong Kong DJs and live bands. 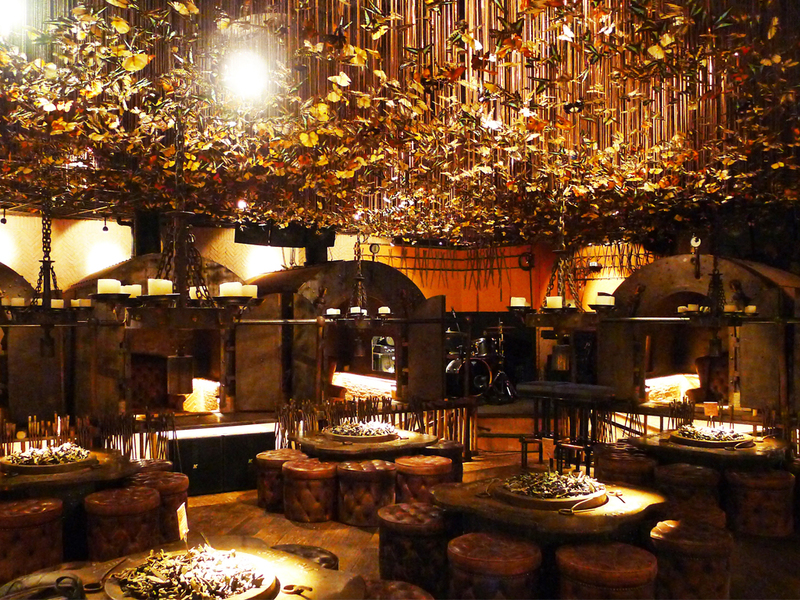 Unique interior designed by famous Australian Ashley Sutton, recreating a Victorian foundry complete with 10,000 preserved butterflies suspended from the ceiling. The system needed to be unobtrusive, blending into the décor while delivering the decibels needed to power up the dance floor yet have the intelligibility to operate as a sophisticated background for the dining environment. Consists of a main L-R system of two Axle-KR802 systems per side. Two Dragon-KX12s bolster audio levels and six Turtle-KRM33P wedge monitors act as passive fills for each of the six VIP rooms, powered by a Kommander-KA84 amp. The KRX802 allowed us to mount all six compact KX12 speakers horizontally. The two dual 18-inch active subwoofers were easily hidden under bridges leading to the private rooms. These unobtrusive horizontal arrays are able to fill the space with powerful and even coverage. The discreetness of our speakers really proved crucial to the success of this installation. Not only were the owners incredibly pleased with the results, they even ordered K-array systems for other venues they run that have similar aesthetic concerns.